We have all heard that everyone has their own Plan B. I don’t know about you but my Plan B changes and evolves, starts and stops, and shows back up when I need it too. Sometimes it takes a minute or a day, weeks, months and yes even years, but my Plan B is there always waiting for me to act. Sometimes, life gets in the way of my Plan B. Like I get nervous that this isn’t the path I should follow and then I try something else, and you know what happens? That’s right. I come right back to Plan B. Sooner or later, but eventually I come back. It’s like coming back home to that comfortable place. Well at least that is how it is for me. My Plan B doesn’t change as some people joke into a Plan C or D or whatever. It’s Plan B in all it’s glorious rendtitions and reincarnations. So here I grow again. 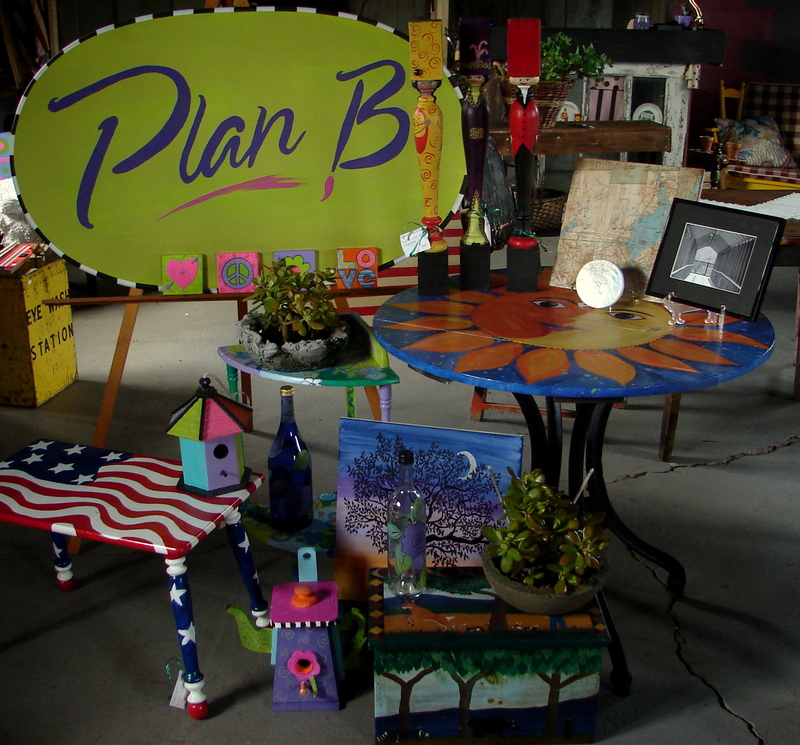 Sharing my Plan B with you. Anyway, I have a small art and antique, design shop that is doing pretty well. But what I have come to learn in the last year is that My Plan B is evolving again. In fact, it already has. My little shop is now a traveling art class. I teach classes all around and hope to travel much further than a radius of 100 miles, to teach art classes to various groups of people. It’s so much fun and I feel so at home with myself I think is what people mean when they say “I’ve found myself, my true calling”. This new Plan B can bring my passions together seamlessly. Traveling to various states and teach painting classes in fun and rewarding places! Yesterday, I was pretty local. I was at Gade Farms on Western Ave in Altamont. Great spot. I taught about 8 women how to paint some pumpkins and apples and black eyed susans, on canvas. Amy the farm manager is a wonderful gracious person and her smile is contagious! How could I not love doing this for a living? And there lies the dilema. Should I risk my financial stablilty ( which I never had and still don’t) and try to do this full time as is my dream, or should I work for a living like what people tell me I “should” do? I know what is in my heart. I just need to trust in my Plan B.